Here you will find all of メトロノーム their releases that cannot be classified as an album, EP or single. These include promotional CD's, demo cassettes and compilation albums. The last CD that features a demo recording that was handed out at a concert a few days before Christmas in 2006. It comes with a great colour photo sleeve. Please contact me when you have one for sale! A very nice promotional CD-single, released in June 2004. 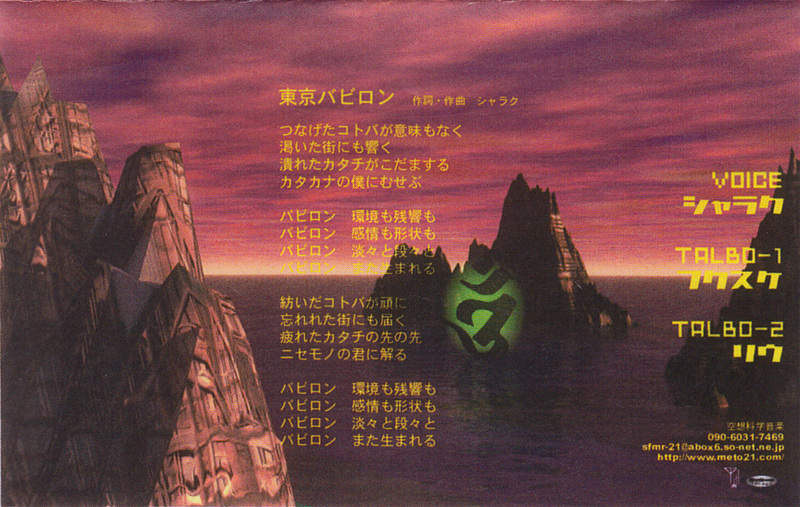 The song on this disc can be considered as the final version. 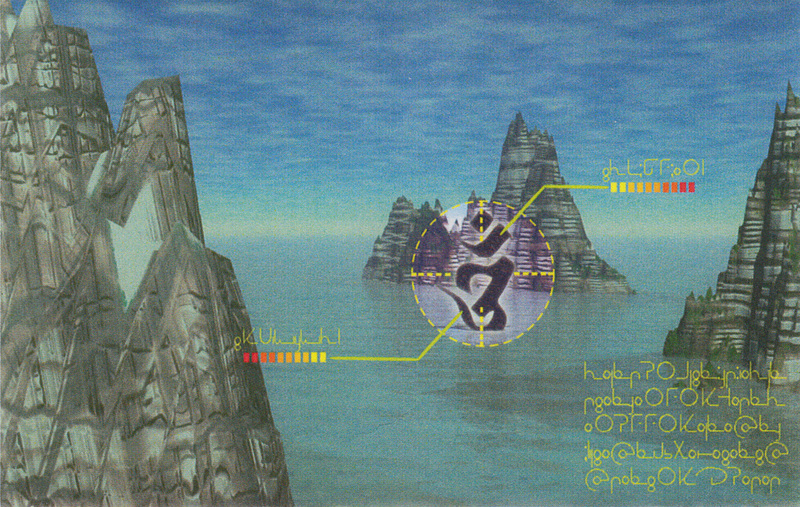 Two early versions can be found on a 1999 and 2001 demo cassette. 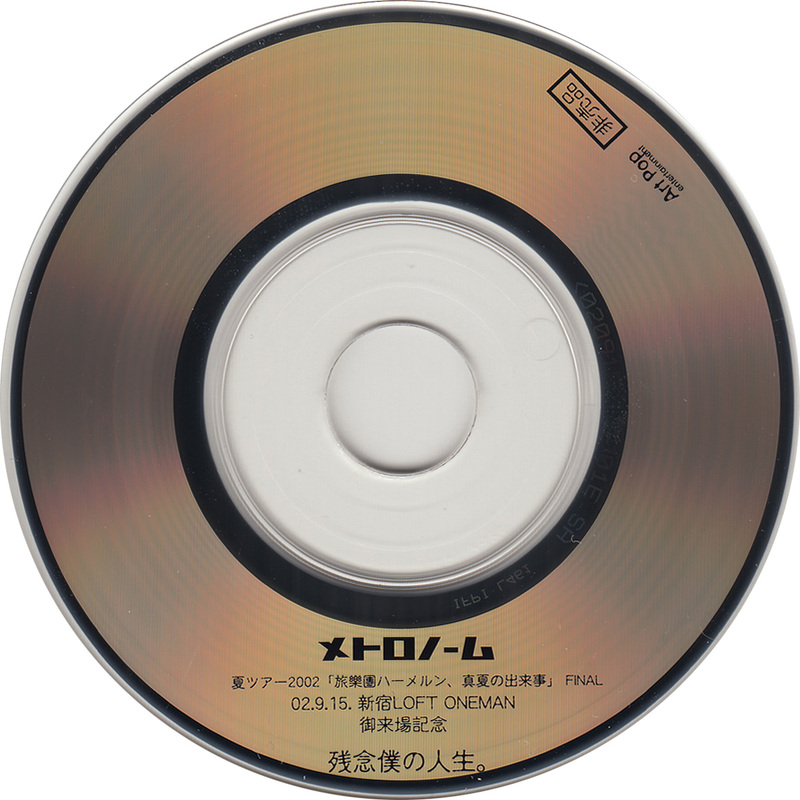 Another 3" CD-single which features a demo recording of ドクター. It was issued without a sleeve. 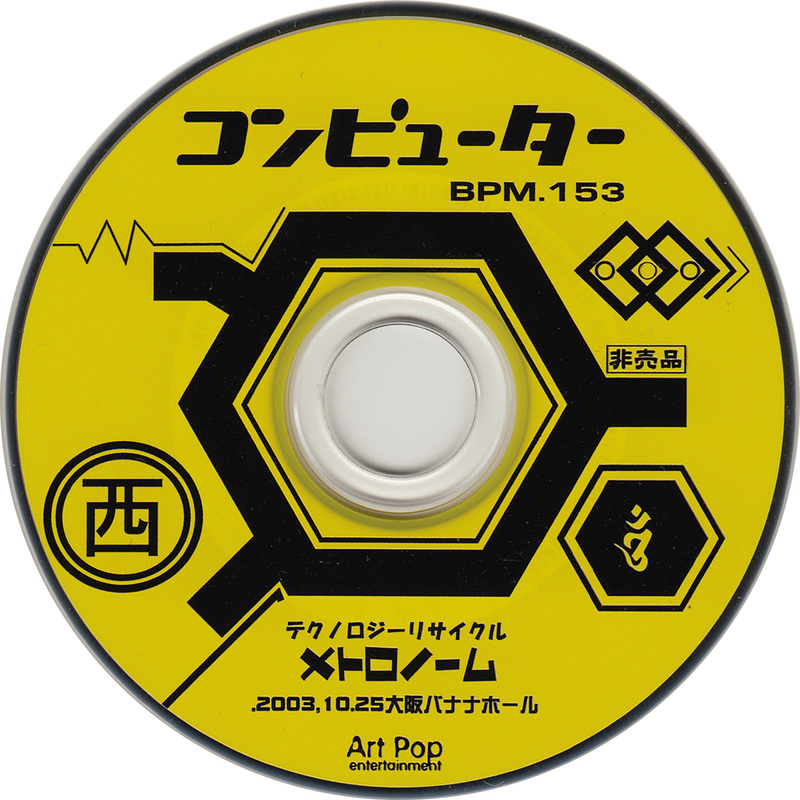 Rather then releasing or handing out cassette tapes with demo versions on it, they started to create 3" CD-singles This one was released in 2003 and features an early version of コンピューター which was later released on their 2004 album LIFO as コンピュータ. This CD was only available at their 25 October 2003 concert. In order to promote their (then) upcoming album 1メトロノーム, they released this sampler at three different concerts (February 15th, 22nd and 23rd) plus it was made available for mail order. This CD was released with a transparant obi. I had no idea what it was when I bought this item, but it is a 3" CD-single which features a rough version or demo version of 残念僕の人生。 which was released seven months later in a re-recorded form on their first full-length album. This CD was only available at their 15 September 2002 concert. 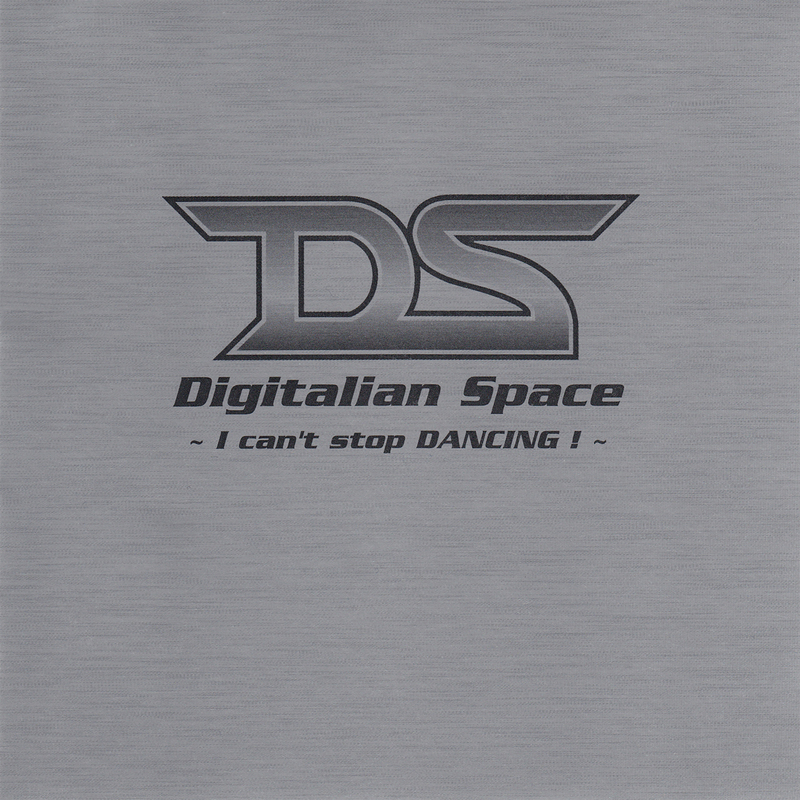 This is a compilation album from 2002 which features two tracks by メトロノーム. Both tracks were initially released on two separate demo cassettes, though have been re-recorded for this release. 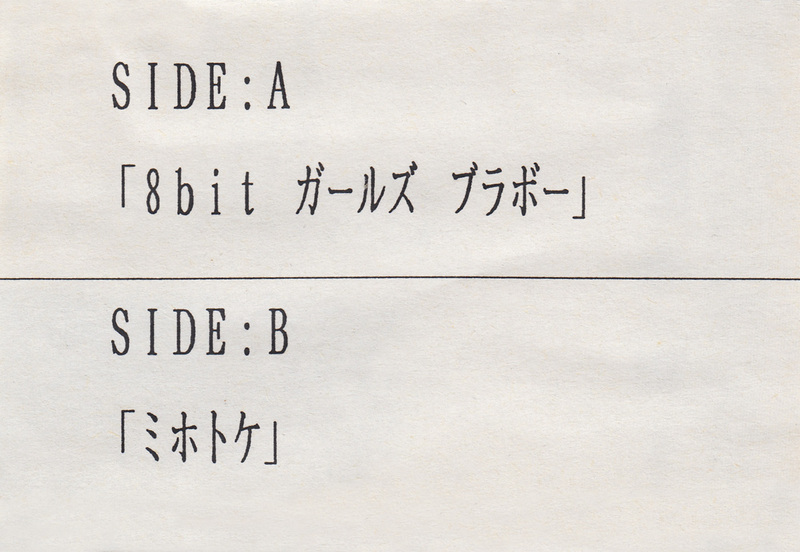 8bitガールズ　ブラボー later appeared on COLLECTION 2 as a live recording, whereas 致死量フリーク was re-recorded once again for the same 2008 compilation album. A demo tape from January 2002 and I think that this was their last demo released as a cassette tape. 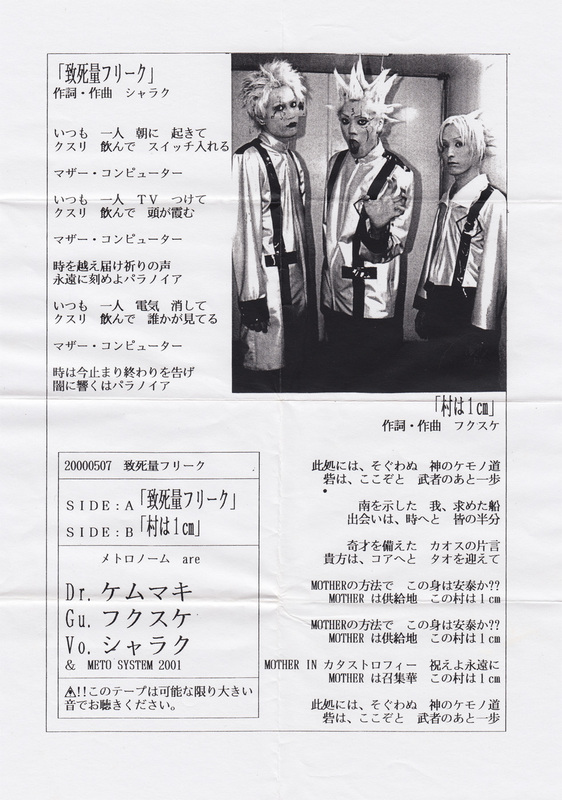 It was once again distributed at a concert and features an early recording of プチ天変地異 which was later released on their album 1メトロノーム and once again re-recorded for COLLECTION 2. There are at least three different versions around of this tape. The one on the left has a green sleeve, but red and yellow versions are known as well. Each copy should be numbered on the back of the sleeve and most if not all copies were handed out in an envelop as shown on the left. I don't know if this meant that the receiver of a tape did not know the colour of the sleeve until the envelope was opened, but it sure gives it a nice touch. 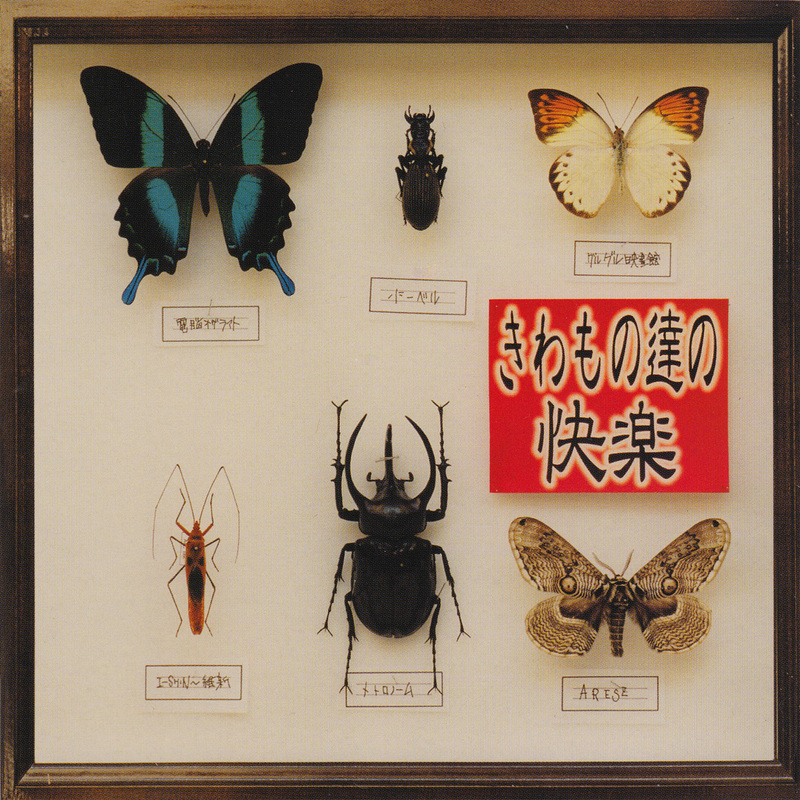 A compilation CD, issued in December 2001 which features two songs by メトロノーム. アリガト was, as far as I know, only released on this album and re-recorded for the album COLLECTION 2.
φD-SANSKRIT on this album is a new recording which starts with studio banter and then develops into a full recording. 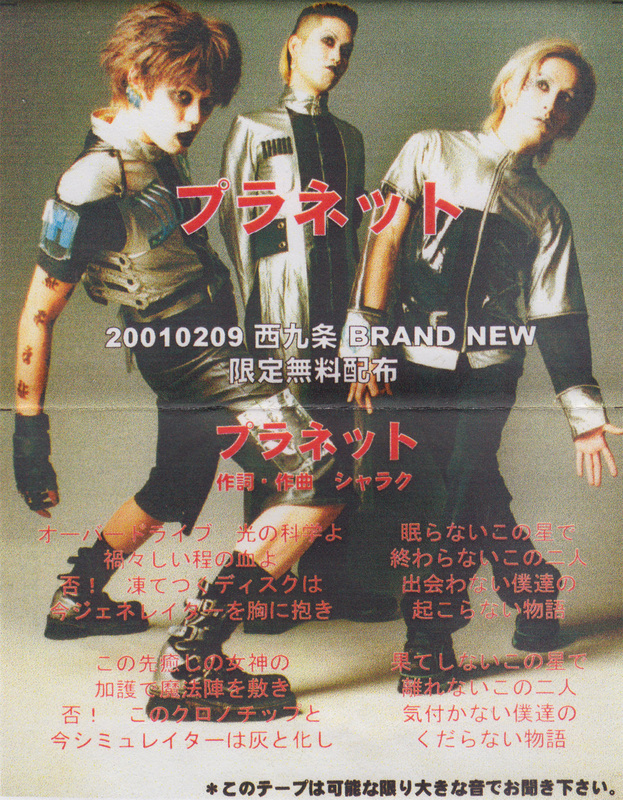 It was once again modified for their album 1メトロノーム in 2003. An uncommon demo tape. There is no date written on the sleeve anywhere, nor is there any info about this one on the internet anywhere. However, since リウ is mentioned on the sleeve, I can only guess that it was released on or after the 13th of April 2001 and not later then the 19th of December 2001. 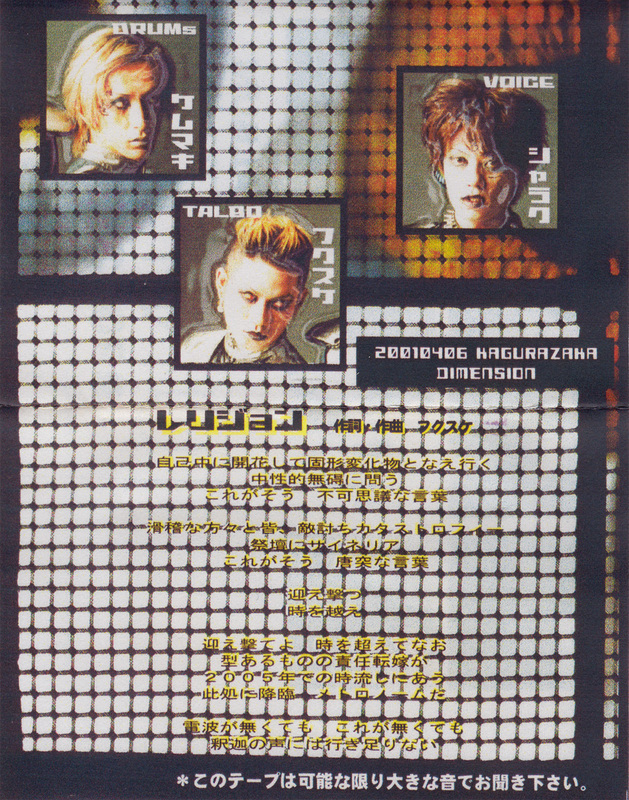 The same cassette brand was also used for this release as for レリジョン (see the previous entry), making it more reasonable that this one was indeed released around the same time as the previous demo tape. The song on this cassette was never released on any album or single, although it did appear on a 1999 cassette and on a 2004 CD-single. All three releases feature a different version. An odd release. The song featured on this tape is mainly instrumental with only occasional vocals. It was very likely released in 2001 though an exact date remains unknown. It comes in a black sleeve with a drawing of a CRT computer screen on it. This is a rare demo cassette that was hand-made by the band and released during one concert only in April 2001. It contains a demo recording of レリジョン which was never released on any album or single. It's a great energetic song! The sleeve has a backside with a small story about how they came from 2005 to try and improve their record sales in the past (well, at least, I guess that is what it is about, since I do see the number "2005" mentioned). The second demo cassette that was released in 2001. It was once again hand-made by the band released at their concert on the 22nd of February. As with the other tapes, this one also features a demo version. 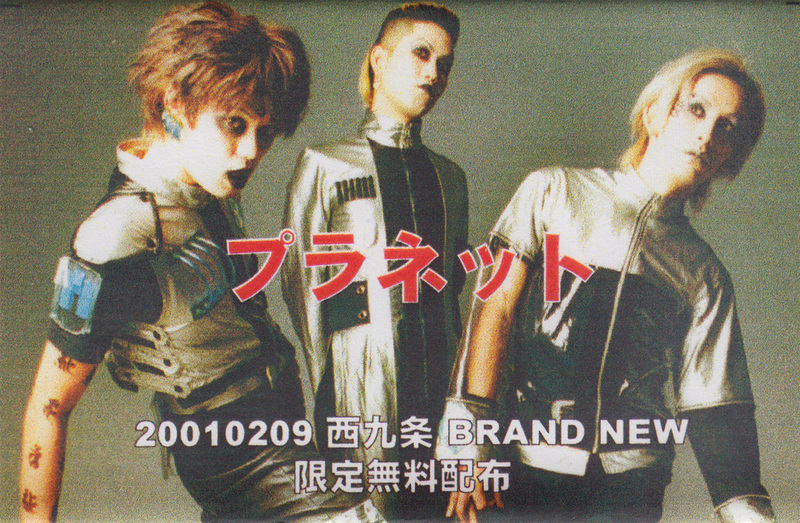 The song was initially released to a wider public five months later on the single PLASTIC-MODELS 銀 and once again on their 2004 album UNKNOWN. The single version sounds close to the demo version. The sleeve is a single sheet of paper, folded and has the lyrics of the song on the backside. Possibly the first demo cassette that was issued in 2001 at the BRAND NEW club in Japan. 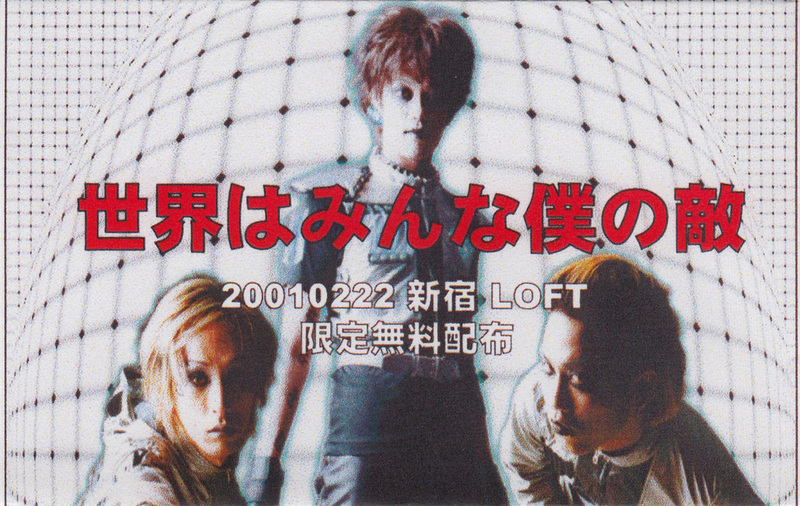 It features a demo recording of the song プラネット which was later re-recorded for the album 1メトロノーム in 2003. This should be their first CDr which contains a demo recording of an unreleased song although it was re-recorded and included on COLLECTION 2. It comes (or at least my copy) in a blue-ish special slim jewel case with no sleeve, although it comes with, which I think is, a ticket stub. 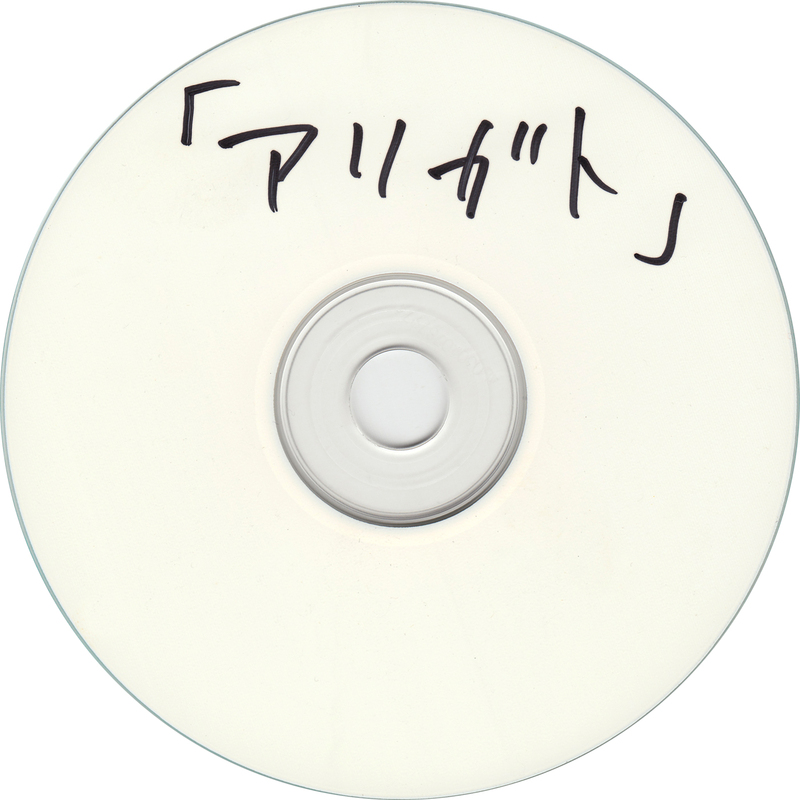 The disc is just a plain CDr with a hand-written title. There are very few images of this item on the internet (I could only find two at the time of writing) and all look exactly the same as my copy. Even the way the track title has been written down matches 100%. Does this mean that the same copy has changed from owner from time to time or were the band able to write each title exactly the same on each disc? More info would be appreciated! 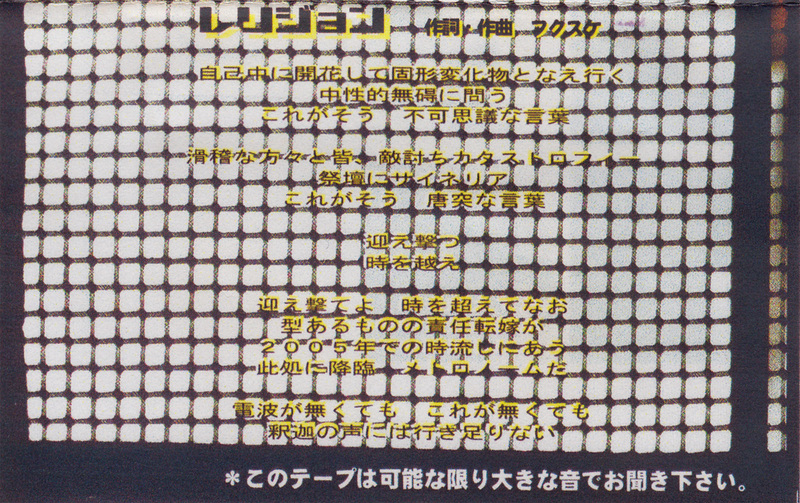 This was a CD or CDr that features three tracks of which one is by メトロノーム. It should come in a plastic sleeve with a colored insert. 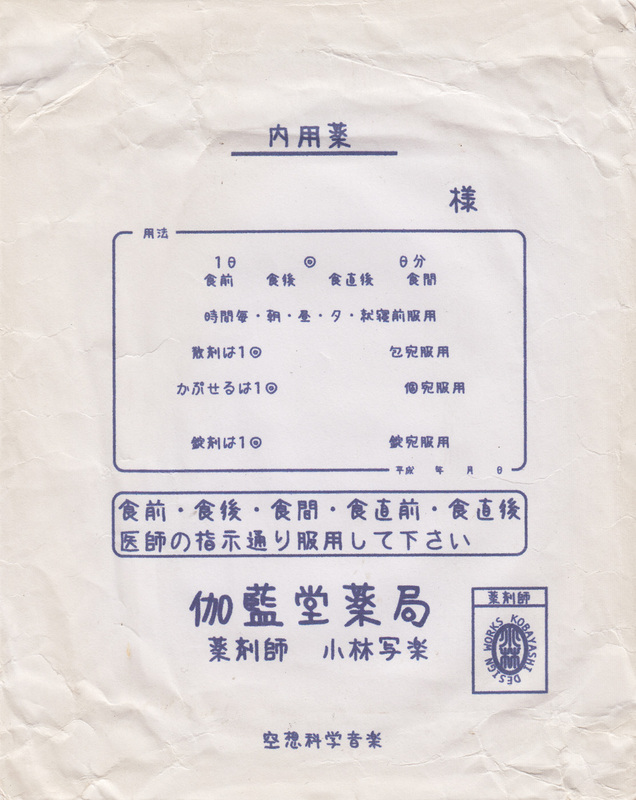 This is a demo cassette that was hand-made by the band and released during one concert only in May 2000. It contains two recordings of which one (致死量フリーク) was later re-recorded and released on a 2002 compilation album and once again re-recorded for the 2009 album COLLECTION 2. The B-side has never been released on any album or single. Three versions were made. All three have the same recordings, but came in different sleeves. The one with the colored sleeve is just a simple piece of paper. 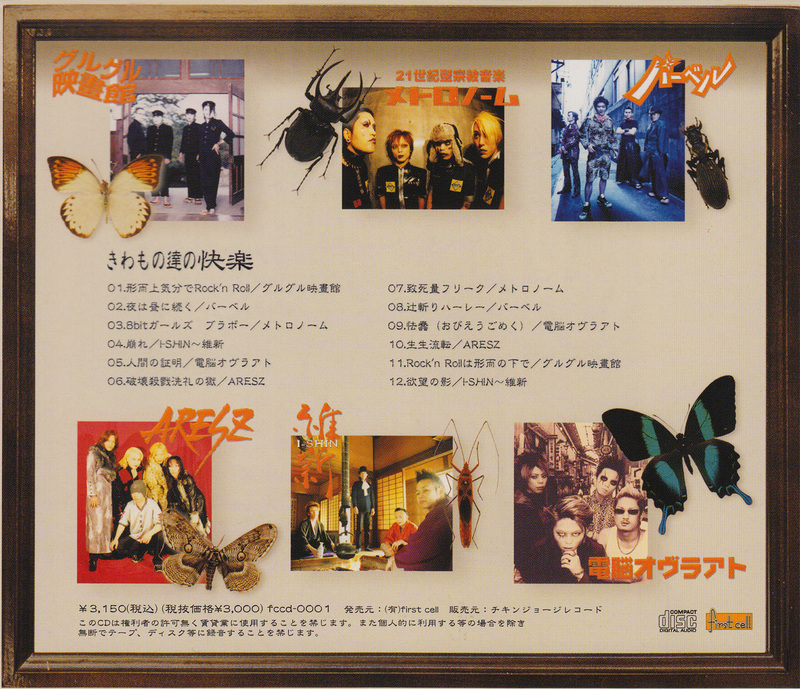 This sleeve design was re-used when they re-released both songs as part of the 88→99迄33＝11 tour on the 8th of August 2000. The release from May is marked as "症例・１" (which translates to "case 1"). The second release and the one with the white sleeve also just have a simple piece of paper, though the package comes with an extra sheet (folded to fit inside the cassette case) with a great early black & white picture, lyrics and credits. 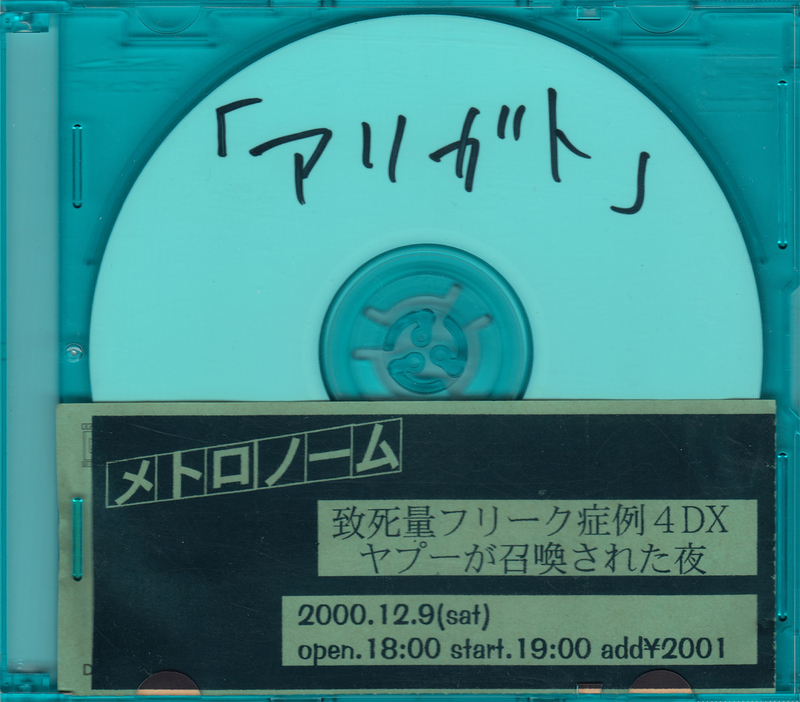 Their first and only MiniDisc release, issued in March 2003 which features a demo recording of 式神ループ. Released in September 1999 on cassette which features an early version of φD-SANSKRIT plus an unreleased instrumental song on side B. 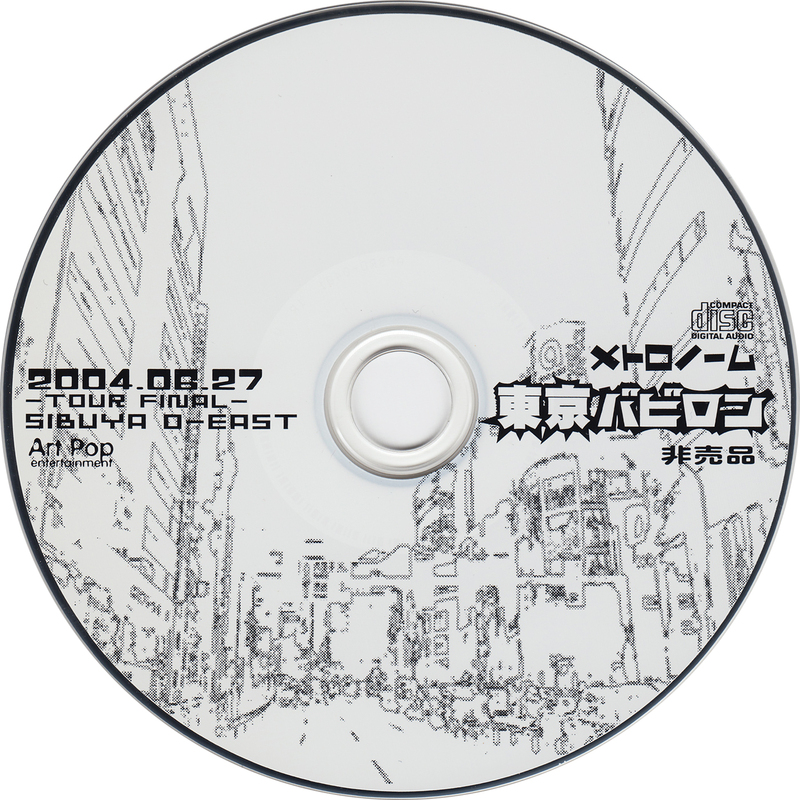 The first release which features an early version of 東京バビロン which was re-recorded in 2001 and once again re-recorded and released in 2004. All three versions are different. The B-side was never released on any album or single. An early cassette which was given away for free during a concert in February 1999 and features two demo recordings. 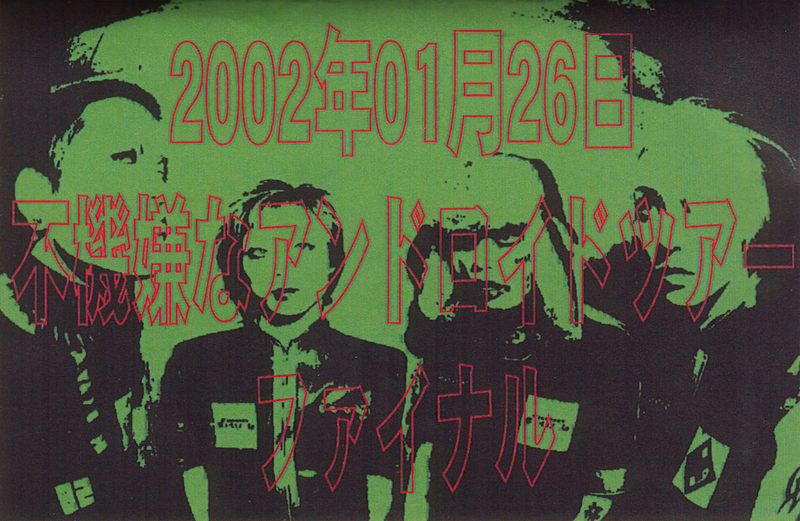 8bitガールズ　ブラボー was re-recorded and released on the 2002 compilation きわもの達の快楽. 村ミホトケ was re-recorded for their debut single SINGLE TOP Religion. Both recordings on this cassette sound very rough and both start with a few seconds of studio chatter. 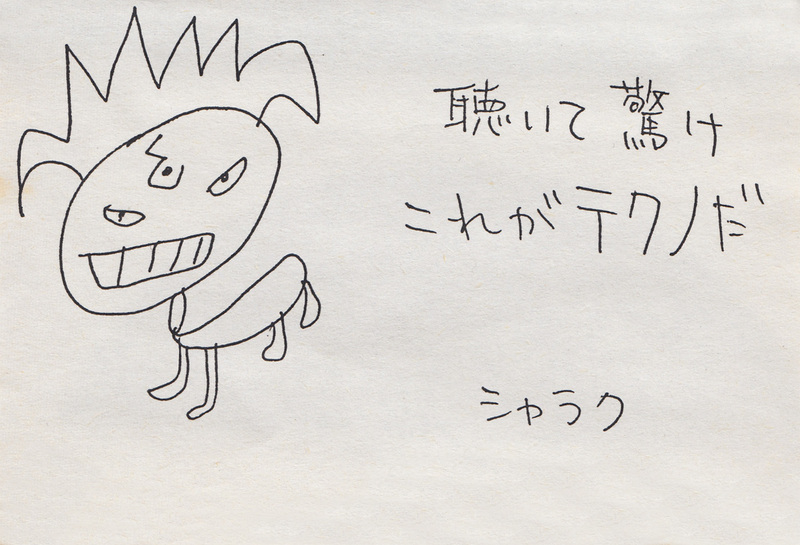 メトロノーム's first release ever. Handed out at a gig in August 1998 on cassette. It features two unreleased demo recordings and comes in a white sleeve with minimal artwork. 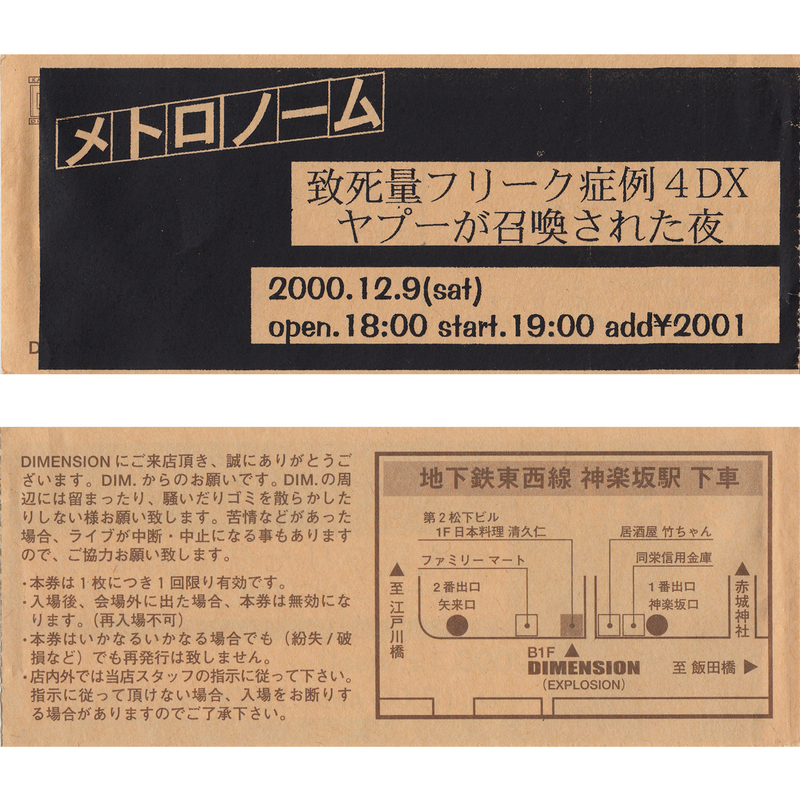 This is a very early cassette which was handed out during a gig at 池袋CYBER in Japan on the 22nd of February 1998, 6 months before they handed out the first demo cassette when they were メトロノーム. That is right, the cassette you are looking at is by ピコピコポン which is an early incarnation of メトロノーム. 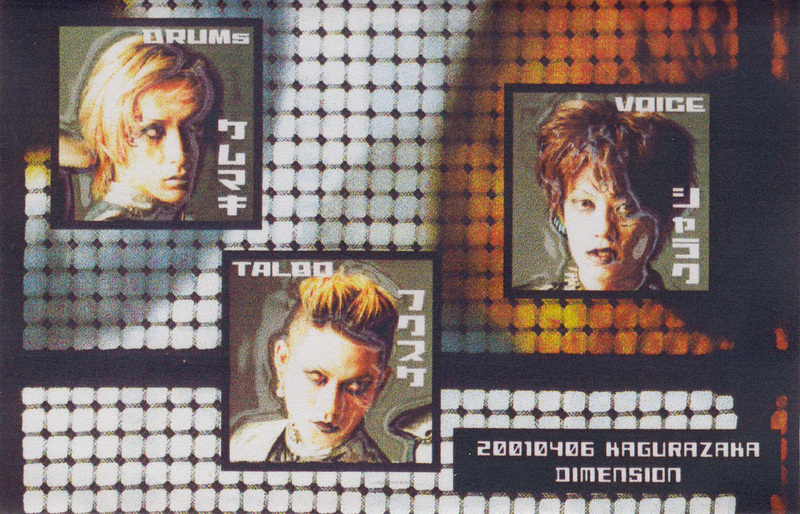 The line-up should be シャラク on vocals, ヤジ on bass (who left メトロノーム in 2001) and フクスケ on guitar. The tape contains two interesting versions. 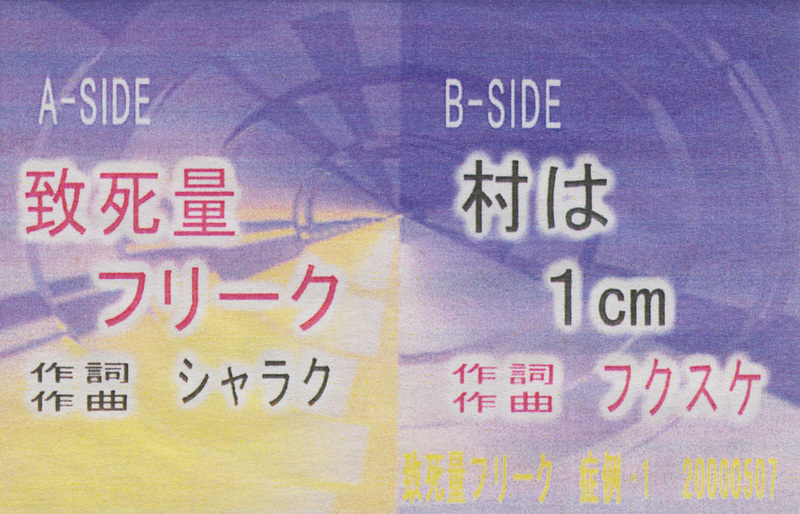 Side A is a very early version of プラネット which was later re-recorded under the name of メトロノーム in 2001 for a demo tape with the same name. 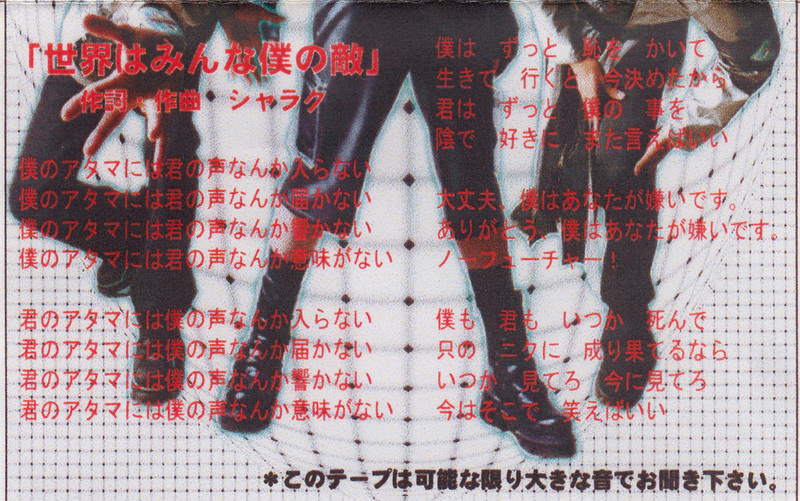 The version by ピコピコポン is however different from structure and has different lyrics except for the chorus. The song's length has been extended to over 5 minutes. 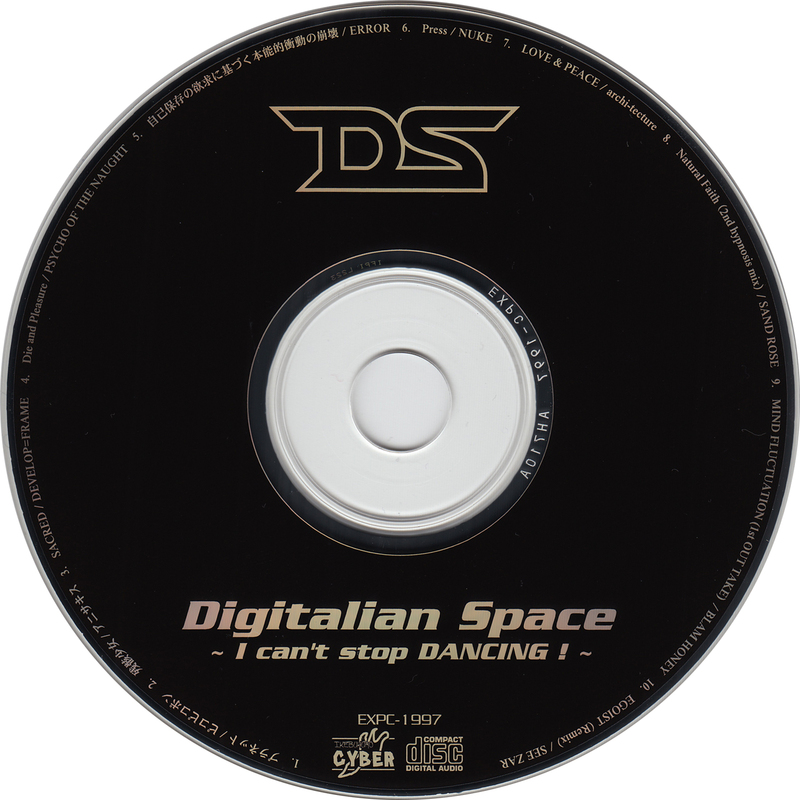 This version was initially released on a 1997 compilation CD called Digitalian Space. 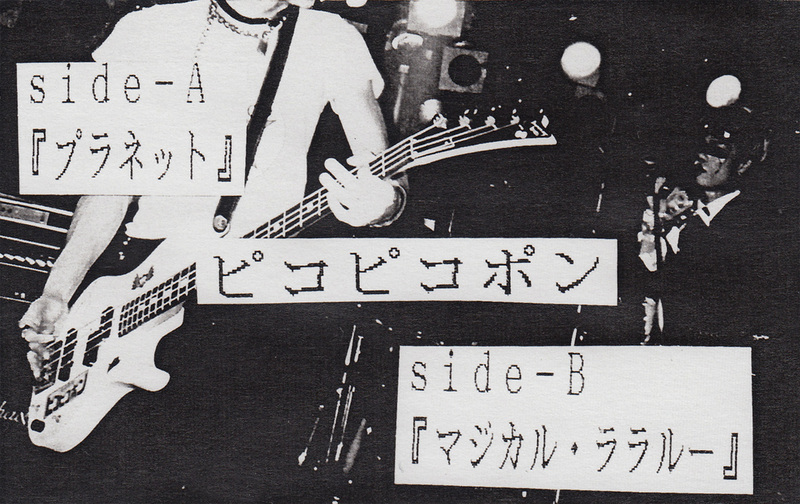 Side B is an unreleased demo recording which was never released under the name of メトロノーム. 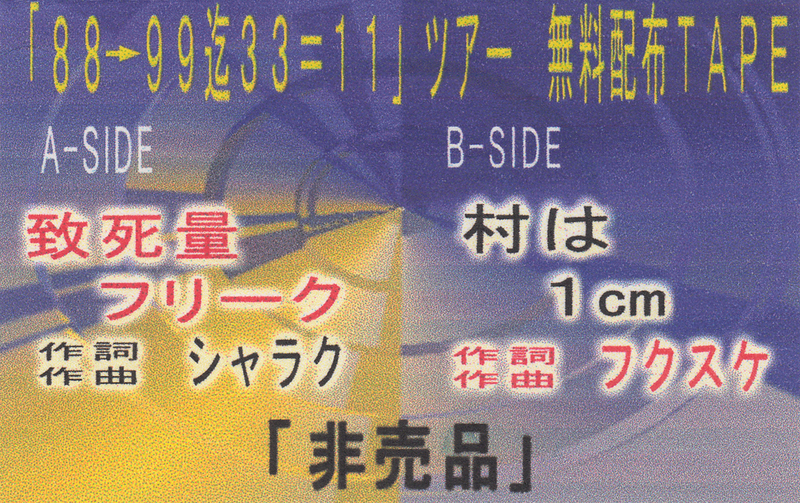 A compilation CD from 1997, issued in limited quantities which features the only track by ピコピコポン (aka メトロノーム one year later) on CD. 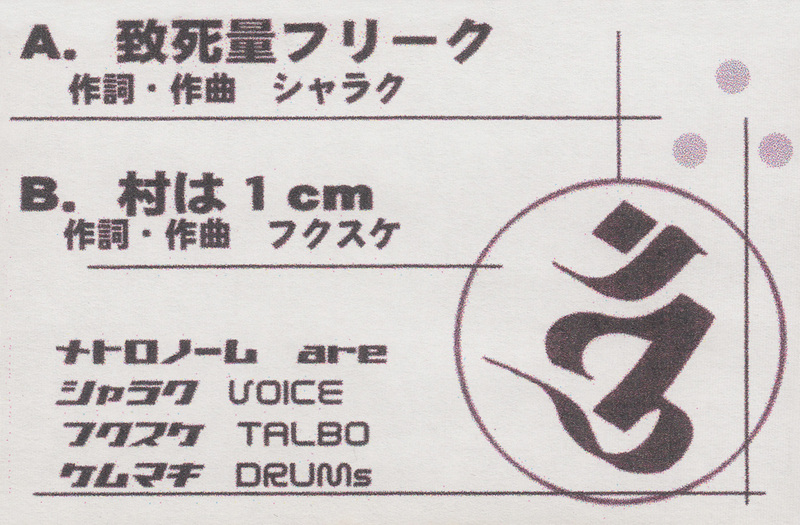 The song プラネット can also be found on their demo tape. This item, or at least my copy, does not have an obi, nor a back sleeve. It does come with a folded lyrics sheet and has a photo of each band printed inside and on the back of the sleeve.